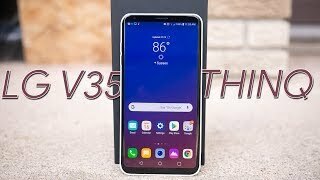 It hasn’t been too long since LG released an updated version of the LG V30 and now we have another phone in this line up: the LG V35 ThinQ. 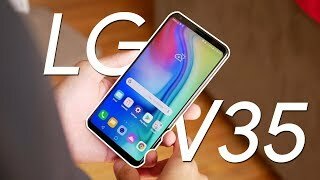 It looks almost identical to the LG V30S ThinQ but there are some noteworthy changes underneath as well. To find out more about these changes and the LG V35 ThinQ Kuwait price, continue reading. 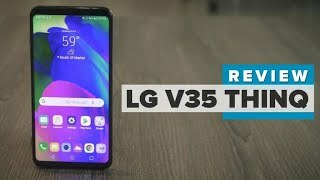 As mentioned earlier, the LG V35 ThinQ looks almost similar to one of the recently released phones from LG but that’s not necessarily a bad thing. It’s a nice design with IP68 rating for dust and water resistance and is MIL-STD-810G compliant as well. Users get glass on both front and back and the screen to body ratio is impressive as well at 81.2%. The display is a big 6.0-inch one showing 2880 x 1440 pixels resolution and 537ppi of pixel density. Although the screen-to-body ratio is good, there is no notch covering some part of the screen and it’s more like the Samsung Galaxy S9 or S9 Plus. Thankfully the phone didn’t ditch the 3.5mm headphone jack port and is also quite thin at 7.3mm. LG phones are not really known for giving other popular high-end camera focused phones a run for it’s money. However, it will definitely help users take some great captures with it’s pair of 16-megapixel camera and a 13-megapixel camera on the back. The primary 16-megapixel camera comes with f/1.6 aperture, PDAF and laser AF while the secondary 13-megapixel camera comes with f/1.9 aperture and no AF. Users will be able to record 2160p videos at 30fps but no super slow-mo like some of it’s competitors. The front camera is an 8-megapixel one with f/1.9 aperture. If you are in the market for a good camera phone, there is the Google Pixel 2 and iPhone X you can check out. These are almost in the same price range as the LG V35 ThinQ Kuwait price. 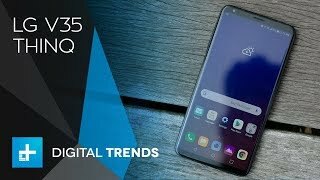 This is not really surprising considering the fact that the LG V35 ThinQ is a high-end phone. The Qualcomm Snapdragon 845 octa-core processor is currently the latest one available in the market and this is what you get inside paired with 6GB of RAM. There are two optional storage options to choose from: 64GB or 128GB. There is no change in battery size, it’s a 3300mAh Li-Po non-removable battery but it can be recharged quickly thanks to Quick Charge 3.0. Some of the other notable features include: Android 8.0 Oreo OS, microSD card slot, B&O Play certified audio, DTS-X sound, Bluetooth 5.0, NFC and fingerprint sensor on the back. 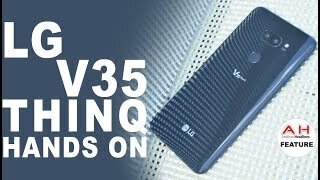 The LG V35 ThinQ is available now for about KWD 300 at the moment. There are two colors to look out for: Platinum Gray and Aurora Black. 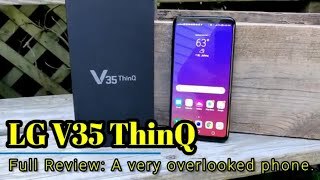 The v35 thinq Mobile Phone is manufactured by LG and was added around July 2018 and is part of the LG V35 ThinQ series. 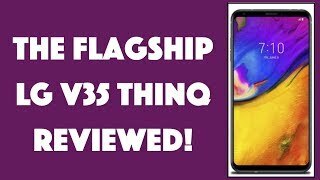 LG V35 ThinQ - Full Review - A phone worth considering (Depending on the price)!